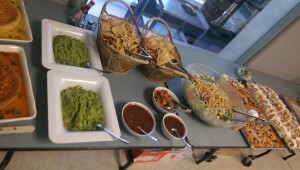 Tommy’s Salsa Mexican Restaurant can cater your next party or event with our delicious Mexican food. We can serve any size party, with any combination of items you would like to order. Just call and we will plan the perfect menu for your event. We can deliver any order over $80. Whether you want tacos, fajitas, burritos, appetizers, or rice and beans, we can deliver the food and set it up in warming pans at your party. Click here to view our menu at the bottom of this page. 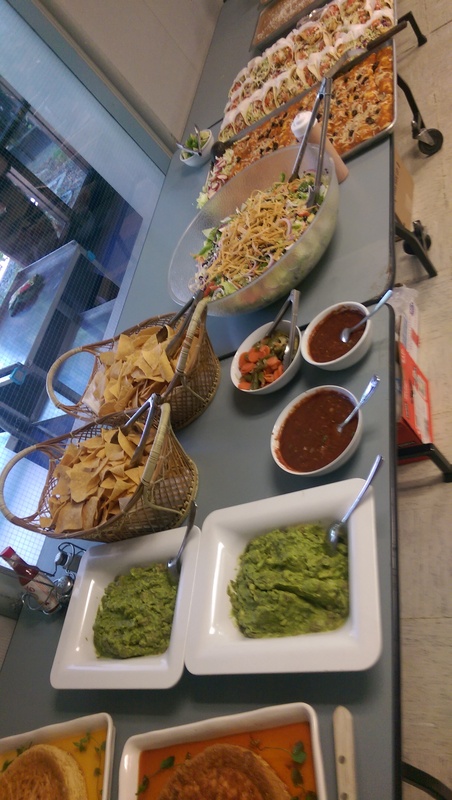 Call us at (415) 898-1351 and talk to Maria, Sharon, or Javier to order catering for your event. Or come in and discuss the options available. 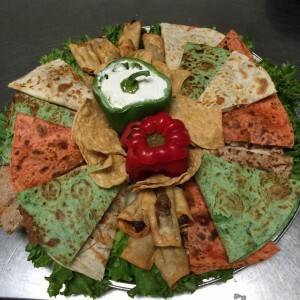 We are now offering a selection of appetizer platters (antojitos) for housewarmings, happy hours, afternoon parties, or any party where you want to offer snacks. It includes mini fish tacos, mini burritos, empanadas, taquitos, ceviche, and chicken wings. We have items also for children’s birthday parties. Combine one of our catering menu choices with a special platter of kid-friendly food and fruit and juice boxes. Also, our menu is excellent for family get-togethers with options for everyone. Great for birthdays, graduations, anniversaries, or family picnics. 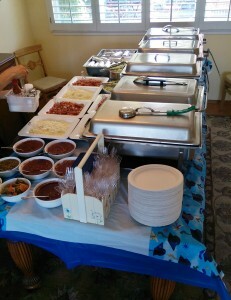 We’ve been catering parties and events for years and our customers keep coming back again and again. Also we can deliver individual menu items for a minimum of $80. Perfect for lunches for offices or meetings. We also cater weddings and anniversaries. We can deliver to Novato and Marin County including San Rafael, Terra Linda, Larkspur, Mill Valley, Corte Madera, Fairfax, San Anselmo, Tiburon, Sausalito, and also southern Sonoma County including Petaluma, Rohnert Park, and the southern part of Santa Rosa. Note that extra delivery charges may apply outside of Novato. Serving Northern California, San Francisco Bay Area. Either order from our catering menu or select from the regular menu. Thus, anything that you would like for your party or event can be made and delivered. Vegetarian options, organic meats, and gluten free tortillas are available. A children’s birthday party in the park with fajitas and chiles rellenos. Looking for a taco truck or taquiza? We can cook our delicious tacos at your party. 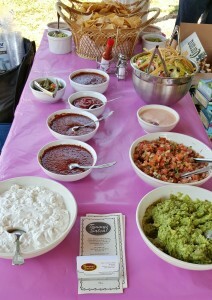 Our friendly chef and servers can cook to order at your party for the freshest, most delicious tacos and fajitas. Or have a server at your party to help guests and keep tidy, so you can enjoy your party and mingle. Inquire for price.